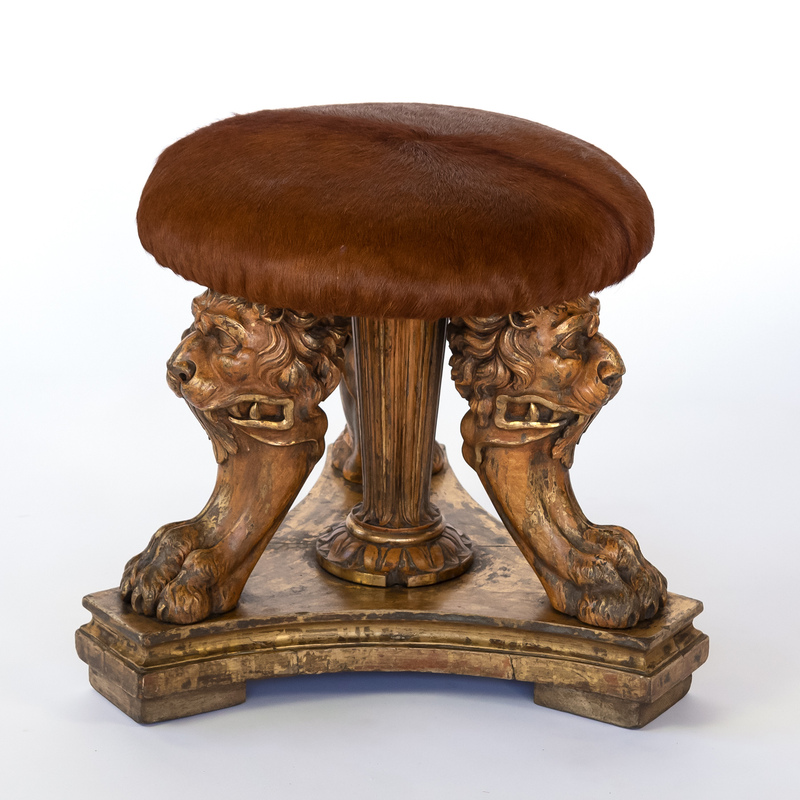 Home / Seating / Ottoman / Impressive Tripod Stool With Three Animate Carved Lion’s Head & Paws Composed of 19th Century Elements. 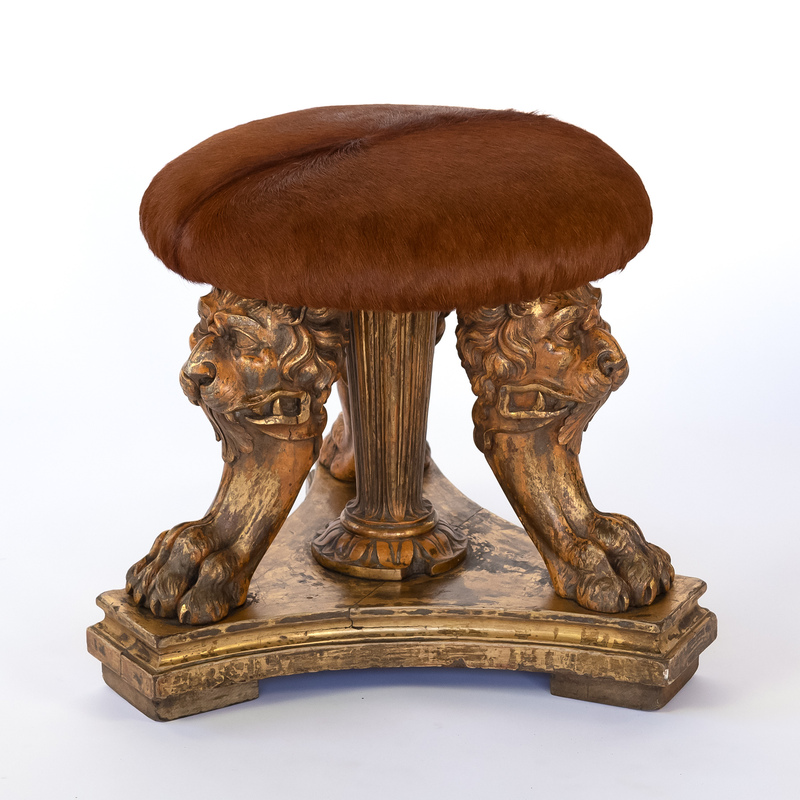 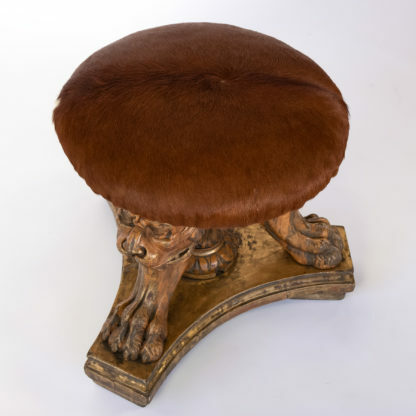 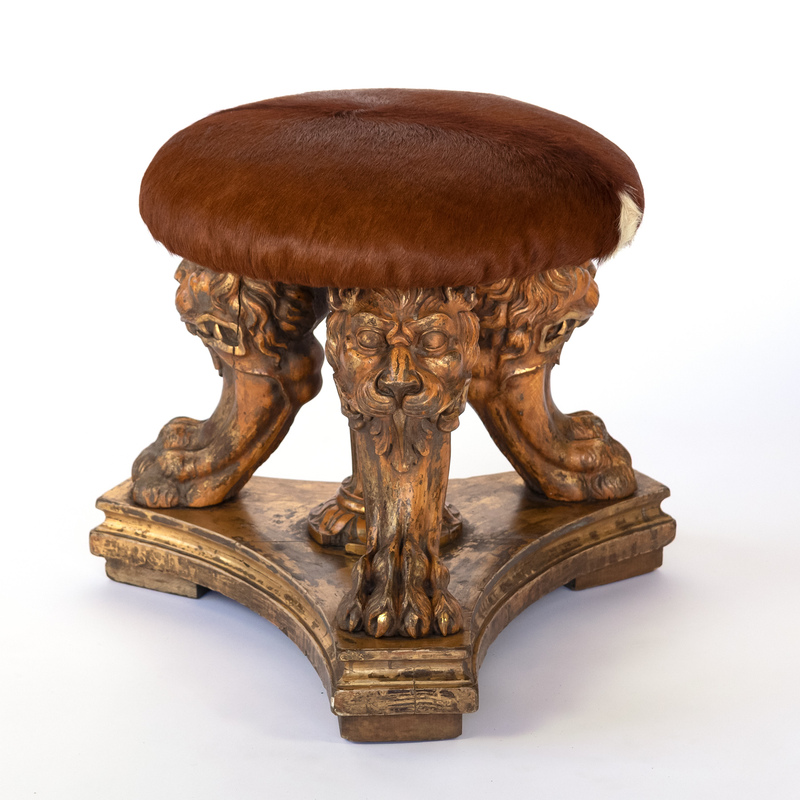 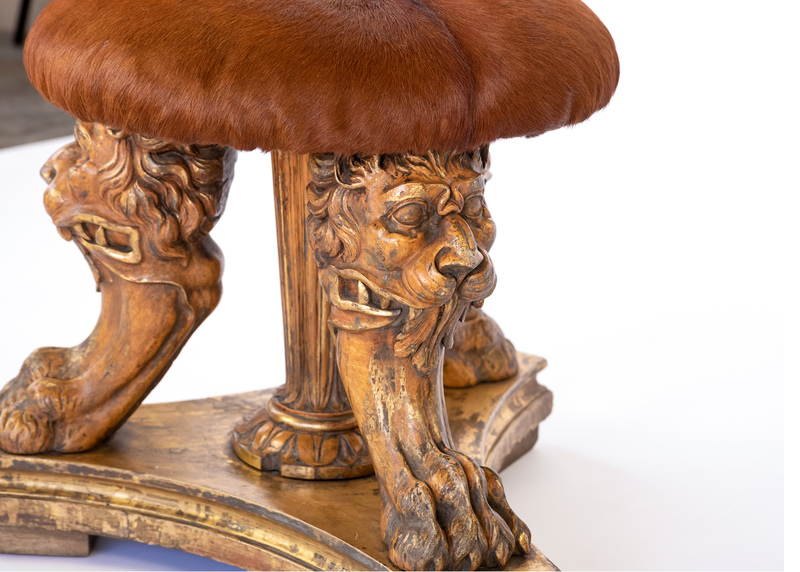 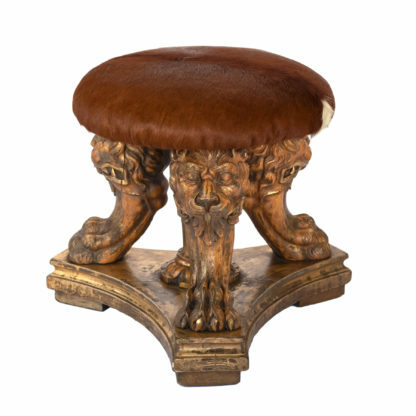 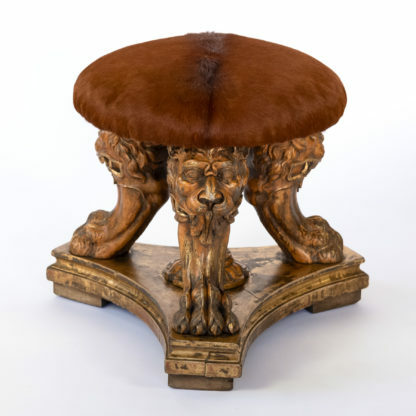 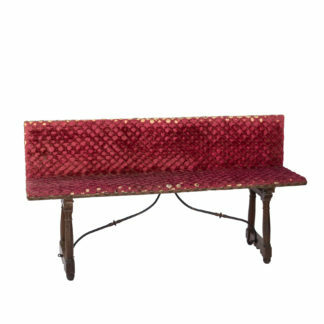 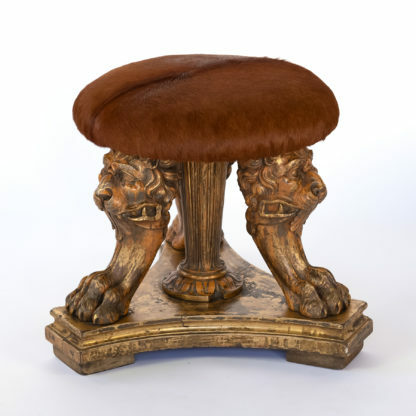 An Impressive and Unique Three-footed stool composed of 19th century elements, three imposing carved and gilded lion heads atop large lion paws around a tapering fluted central column all mounted on a triangular base and crowned with a seat upholstered in richly colored hair-on-hide, Italian, 20th century with 19th century elements. height: 21 in. 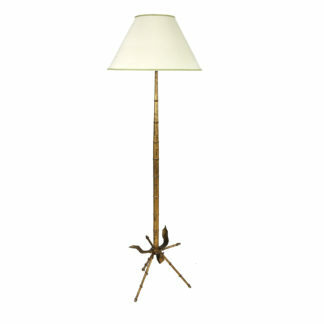 53.25 cm., diameter: 24 in. 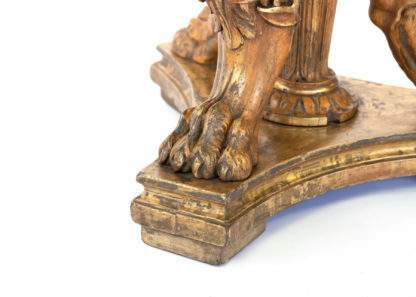 61 cm. 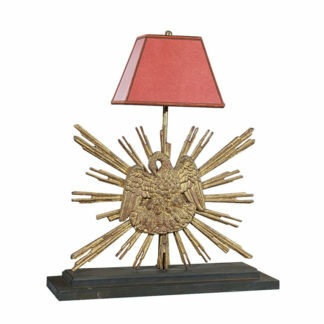 Consistent with age and use; very stable; 20th Century composed of 19th Century Elements. 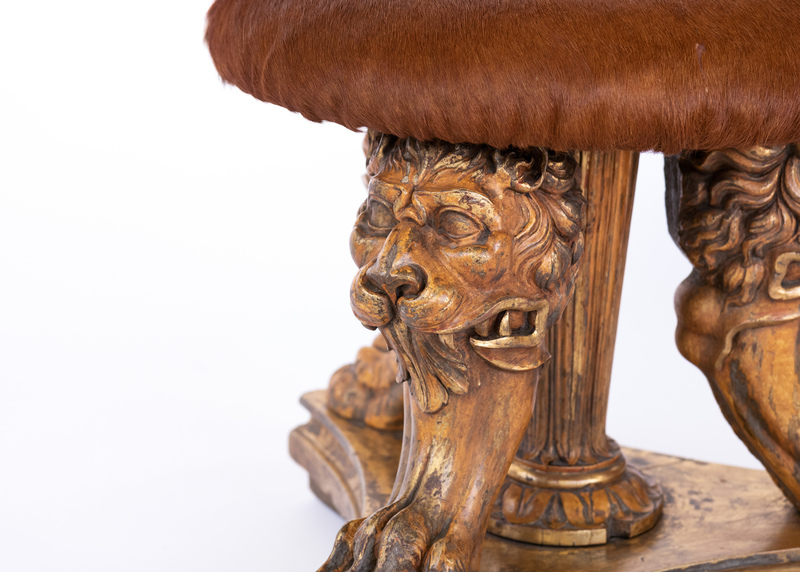 Recent upholstery.